I seem to be on a futuristic garden kick this week so let's keep it rolling. Check out the designs for this tree-focused high-rise in construction in Italy right now. The plan seems to be to include platforms at the end of each floor to allow for tree growth. Do you think its feasible? Aesthetically pleasing? Loony? 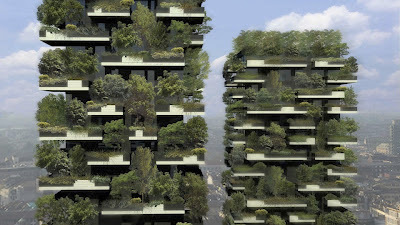 Learn more at Stefano Boeri's site for the project, Bosco Verticale. Its so beautiful, the trees would give fresh air and shade, not to mention something wonderful to look at every day! I agree it would be much less of an eyesore than a normal high rise! 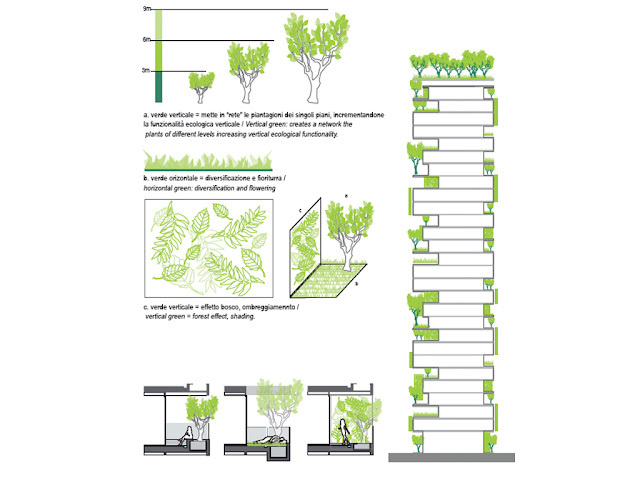 I think it is gorgeous and ingenious!! !